Katrina and I got home late Friday night. Following that was our first day back from our honeymoon, our first real day as husband and wife, our first day to spend together as a married couple in one joined living space. We spent the day going to the biggest comic book shops in Pittsburgh and walking out of them with free stuff for free. 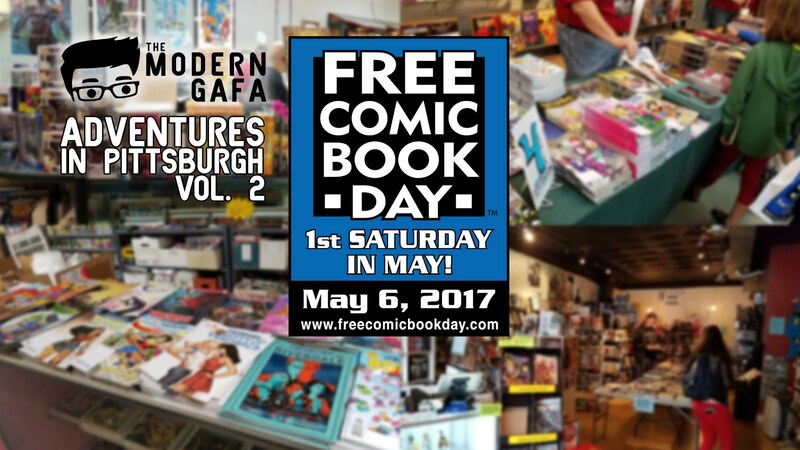 The first Saturday in May is always Free Comic Book Day, a day that is less about freebie comics (which are usually not that impressive) and more about getting out and supporting your local comic shop. Our first still of the day was at Eide’s Entertainment. 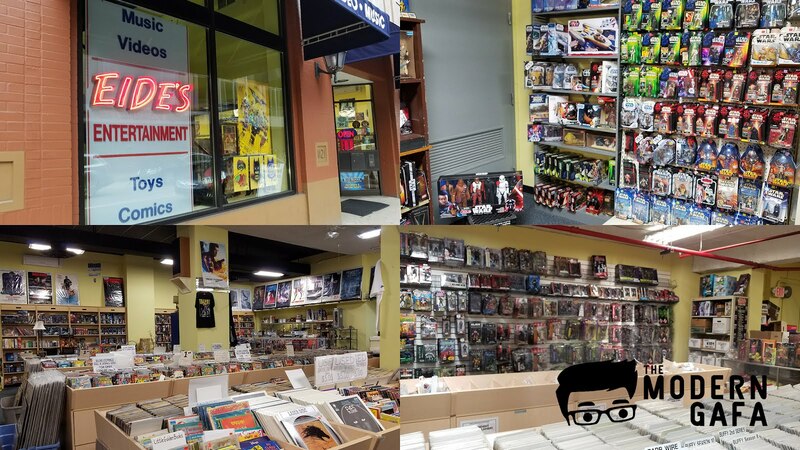 Located between Downtown and The Strip, Eide’s boasts three floors and a basement of comics, movies, toys, books, and music. While most comic shops will sell you the newest stuff from recent years with maybe a small back issues section, Eide’s is a cavalcade of retro antiques to fuel your nostalgia. The first floor is primarily where you find the newest comics, filling an entire wall, but also a sampling of some of the more eclectic finds such as vintage posters and toys. The second floor is where you’ll find DVDs, VHS, and Blu-Ray as well as sci-fi and fantasy books, including some rare pulp volumes. The third floor is music; CDs, records, and more. The basement is FILLED with the largest collection of comic back issues you’ll ever see, plus lots of old toys. From G.I. Joe to Power Rangers and beyond, you’ll be asking “Where did they get that?” the whole time you’re there. We headed over to Oakland, where we found our second destination. Phantom of the Attic has a great reputation throughout Pittsburgh as one of the best comic shops around. 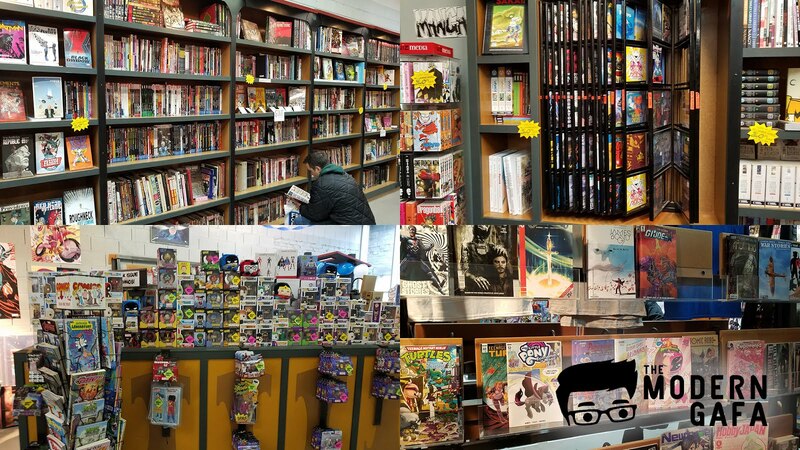 Located across the street from it’s tabletop gaming sister store, Phantom sports a large space filled with back issues and new comics from every publisher imaginable. You’ll find your usual Marvels and DCs, your Dark Houses and your Images, but at Phantom you’ll also find local artists and indie publishers you’ve never heard of. In addition to some fun merch like Funko Pops and other toys, Phantom also has a great “made in Japan” section that not only holds anime and manga, but imported toys from Kamen Rider, Ultraman, and Godzilla. Where else can you find Kamen Rider toys in this city? On our way to see Guardians of the Galaxy we stopped by Pittsburgh’s newest comic shop, Southside Comics. In a neighborhood where the young come to party and the rich come to eat, Southside Comics stands out as community watering hole that you don’t see much of on a street with over 80 bars. Every single time I have been to Southside Comics there has been one single employee at work: the owner. 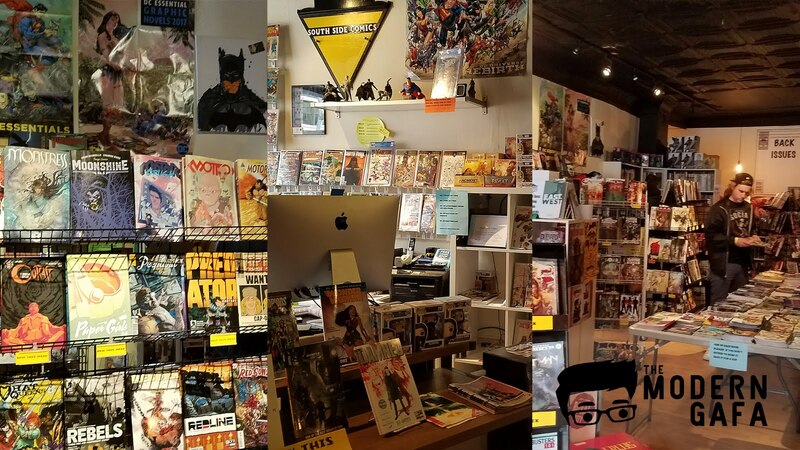 As a start up less than two years old, the store is a very small business that even on Free Comic Book Day hasn’t grown enough to support a bigger staff. The owner is always in a good mood and is very helpful. It has a great and friendly atmosphere. There’s always something on the TV, usually a superhero blockbuster, but on Free Comic Book Day it was showing Guardians of the Galaxy deleted scenes and behind the scenes featurettes. That’s pretty rad. Free Comic Book Day is not about the comics. It’s about getting people out of their homes and into their local comic shops. Yes, there are large tables of free stuff, but the free stuff is usually just short previews and ads for future series. We hit up three stores this year and bought something, even something little, from every one of them. The comic industry is a tough game, and stores need all the help they can get. So if you missed Free Comic Book Day this year, drop by your local comic shop and say hello.